If you’re like most taxpayers, you probably have a couple primary fears this time of year: overpaying (or underpaying) the government and being audited. But are those worries warranted? It depends on how carefully you complete your returns. 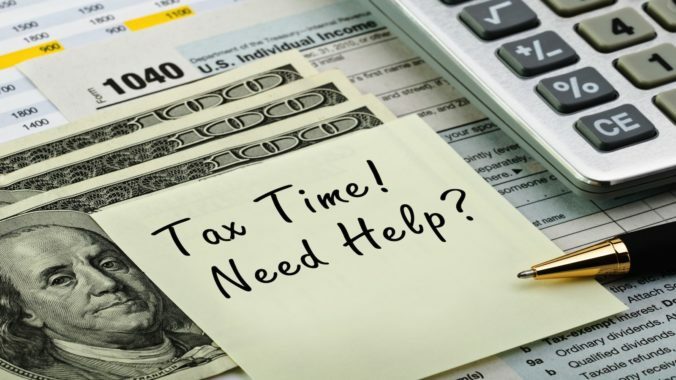 According to the IRS, only about 1 percent of U.S. taxpayers on average face an income tax audit each year, but that number is growing for some groups (namely those earning more than $200,000 annually). And experts say there are certain filing mistakes that put you at a greater risk of getting audited, as well as paying an unnecessarily high tax bill. Here are five of the most common and costly blunders, and how to avoid them this year. If you’re a full-time employee, your company should withhold taxes on your behalf and report your income on your W-2. If that’s your only income stream, then you’re all set. But if you make any other money throughout the year, like through a side job or investment dividends, you may receive one or more Form 1099s indicating your earnings. The problem: Some people fail to report this “extra” money because they either never receive a 1099 or receive it after filing their return. You can do that by completing Form 1040X. If you don’t—and you owe significantly more than was stated on your original return—you’ll be charged interest and penalties on the unpaid amount. When shouldn’t you amend? Because the IRS only states that they’ll impose penalties for “substantial understatement of tax” without offering a specific threshold, that’s up for interpretation. But know this before you decide not to amend: Whenever you’re issued a 1099—even if it comes late and it’s for a minuscule amount—the IRS receives a copy, too. While the agency may not come after you for failing to report a few dollars of interest earned on your savings account, say, it has the option to do so. The IRS receives copies of stock sales throughout the year, so just like 1099s, it won’t slip their mind—even if it does yours. What’s more, the IRS’s default assumption is that, unless you show otherwise, stock sales should be treated as a short-term capital gain. That assumes you held the stock for less than a year and the sale should be taxed at your income tax level. If you had the stock for more than a year, you’ll want to claim it as a long-term capital gain, so you’re taxed less. You can report that on a Form 1040, schedule D. You’ll just need to provide the IRS with the original amount you paid for the stock and the price at which you sold it. And be absolutely sure that you sold the stock at least a year after you bought it. If you forget to report the sales, the paperwork is not the only headache, Rosen says. This oversight can also cost you back taxes, plus interest and penalties. If you qualify for deductions and credits but don’t claim them, you’re writing Uncle Sam a bigger check than you have to—a mistake Rosen sees fairly often. That’s partly because there are a lot more deductions than many people realize. Did you know, for example, that in addition to deducting charitable deductions, you can also deduct 14 cents for every mile that you drove while volunteering for charity? Case in point: Rosen had a new client who works from home as an architect, yet has never claimed this deduction. As a result, Rosen estimates he sacrificed more than $6,300 in savings for 2014. On the other hand, taking deductions you don’t legally qualify for will make you vulnerable to an audit and penalties. Filing after the deadline—that’s April 17, 2018—is a very costly mistake. Even if you can’t afford to pay your entire tax bill, it’s important to file and pay something. If your return is more than 60 days late, you’ll now pay a minimum of $205 or 100 percent of the taxes owed, whichever is less. The penalty for failing to file (or filing late) is about 5 percent per month on any taxes owed, up to 25 percent. The penalty for failing to pay is generally .5 percent per month on your unpaid taxes, also up to 25 percent. When both penalties apply, the IRS will cap the penalties at 5 percent per month. If you need more time, file for an extension—but remember that just gives you extra time to file; your payment is still due in April.